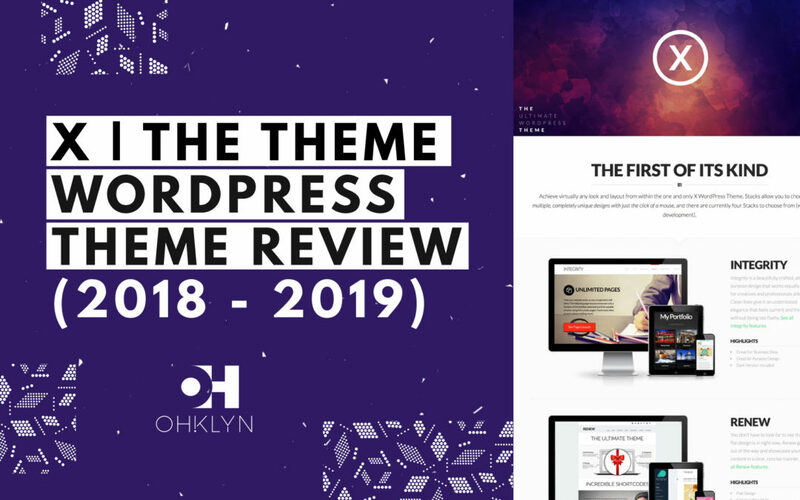 In this Bridge WordPress theme review article, we’ll evaluate and analyze the Bridge WordPress theme by Qode Themes. Here, you will find everything you need to know about the Bridge theme including its core features, design options, unique characteristics, and key performance metrics. As with most things in life, you get what you pay for. Premium themes like Bridge come with exemplary designs and are chock full of features. With a WordPress theme like Bridge, it’s now possible to create a professional looking website without needing to hire a professional web designer. However, there are a few things you’ll need to consider. 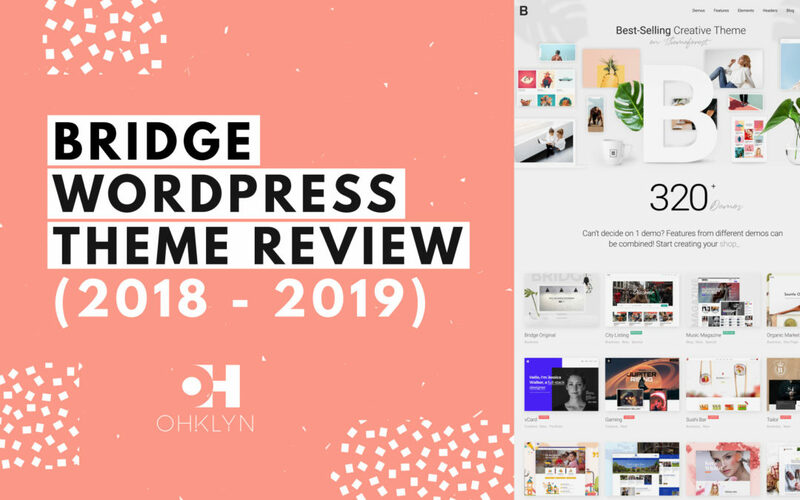 What follows is an in-depth review of the Bridge WordPress theme that will give you a thorough overview of what you can expect. The Bridge WordPress theme is available exclusively through Themeforest which is part of the Envato Market. To access a discount on the Bridge WordPress theme when available, or to access discount hosting to help build out this theme, follow the links below. 320+ Gorgeous complete demo sites that cover every niche. You will need a few extra plugins. Very easy to use theme settings. Slightly slow page load speed. Extensive library functional and visual elements and fantastic sliders. Few themes manage to (ahem) bridge the gap between functionality and design quite like the Bridge WordPress theme. With many themes, one often comes at the expense of the other, as creating a theme that is both beautifully designed and loaded with functionality is incredibly challenging. Therefore, it’s quite impressive that a smaller theme provider like Qode has managed to make a theme that doesn’t compromise on either. This adds so much value as you don’t need to spend time, money or energy investing in more plugins or themes. For many, Bridge will be your one-stop solution. One of the most impressive aspects of Bridge’s design is its collection of over 310 complete demo sites. As you can imagine, this number covers almost every type of website and niche you can think of. You’re guaranteed to find something representative of the kind of site you are going for, and with the simple one-click content import tool, that will give you a massive head start. No matter what demo site you choose, the designs are contemporary and of high quality. With access to a drag and drop page builder, you’re able to take any of the pre-designed layouts and customize them to suit your brand or specific purpose. With ample header and navigation options, a countless number of modules and elements, and the ability to customize every inch of your site from colors to typography, Bridge ticks a lot of boxes from a design perspective. You are spoiled for choice in regards to the features that are available through functional modules, graphical design elements, and customization options. One of the more notable is the magazine module that turns your site into a newspaper or magazine platform with sharing and reaction widgets built in. Similarly, the listing module is equally impressive as it allows you to list any kind of content in various ways with advanced filters and user account controls. There are a huge number of shortcodes, including slider, infographic, showcase, typography, and presentation shortcodes that allow you to quickly add almost anything from accordions to Google Maps, and advanced image galleries to pie charts. Then there’s the store. You can expect the same level of choice when it comes to their fully-equipped store. There are plenty of product hover states, layouts, and product types to use. It also comes with all the functionality you expect in an online store with extensive filtering options. While demo content is great for getting an idea of what’s possible with a WordPress theme, we always like to see how people and businesses are actually using a theme. Here are a few examples of website that are leveraging Bridge. Ocho is the online portfolio and business website of Alejandro Portaz, a director who creates all kinds of short films and clips for clients. This is an example of how you could create a one-page website with Bridge and incorporate an eclectic yet professional design. If the previous theme didn’t convince you of Bridge’s design versatility, then maybe Mani Pine will. It’s a business that provides customized furniture. You can also find a working example of a Bridge store here. This is the business website of a Parisian law firm specializing in business law. Here, you can get a glimpse of the tasteful and elegant animations that Bridge ships with. Much like Ocho, it’s a blend of professionalism and creativity that seems to be a hallmark of sites built with Bridge. Nueve Seis is a digital business consultancy. As you can expect in that line of work, you need a site that catches the attention and is professional. You can see how Bridge helped them achieve this with numerous sliders, animations, counters, and design elements. A WordPress theme’s customization options are undoubtedly one, if not the most important factor. After all, you are on WordPress because it’s supposed to make creating stylish, modern, and functional websites easy, fast, and accessible to everyone. The two main built-in ways for you to customize the Bridge theme is via shortcodes and the theme’s various settings under the Qode entry in your left-hand menu. Like with any quality WordPress theme you’ll get access to extensive theme specific documentation. Bridge does an awesome job of guiding you through every aspect of the theme via their intuitive and easy to follow theme documentation pages. Here they cover everything from getting started with Bridge, to customizing its most powerful features. General: Here you can change site-wide settings like the backgrounds, fonts, social media elements, and main colors of various parts of your site. Header: Here you can change the header style and associated options. They proudly boast that through the customization options, you have unlimited header styles. Logo: You can upload different versions of your logo and adjust its dimensions. Elements: Here you can adjust the basic settings for different elements like the styles, margins, and text colors. Page settings: There are also a few page tabs that cover settings for common pages like a 404 error page, portfolio page, and Blog page. These settings make changing your global theme settings to control the look and feel, navigation, and organization of content on your pages a breeze. Once you have played around a little and seen the changes in action, you’ll find that you’ll get up to speed very quickly. Most of these settings can also be set at the individual page-level with Qode settings appearing below the editor when you edit pages. This will give you finer control by allowing you to create pages that are an exception to the rule and have their own unique layouts. Any customization begins with adding elements to your page. Bridge comes with an exhaustive set of over 70 shortcodes with which you can quickly and easily add elements to your page. If you don’t know what shortcodes are, we will give you a quick introduction. Shortcodes are basically small snippets of code that represent an entire graphical element. When you add the shortcode in, the theme knows to display that specific element in its place. The shortcodes are added to the Visual editor on the Edit Page. Qode is big on sliders! When you install the theme, entries will be created in your left-hand menu for Qode Slider, LayerSlider WP, and Revolution Slider. Here you can create, import, and edit new sliders using these three slider tools to add these to your pages. There are already 320+ demo sites that you can leverage to start you off with an amazing site. Of course, you don’t want to keep it exactly as is, but they serve as an excellent example of what’s possible with the Bridge theme and can give you a good framework to add your own content and panache. As you can see, all the most common types of sites are present as well as some more interesting and obscure niches. In fact, most niches have multiple demo sites which give you even finer control of where you want to start your blog or website. What makes these 320+ demo sites even better is the fact that you can also use their demo content. This means you can technically have a complete website by just clicking a few buttons through their handy one-click demo importer. To use it, once you have installed the Bridge theme, just go to the ‘Qode Import’ option in the left-hand menu. There you can select the demo content for the site you want to import from a drop-down and just click “Import”. It’s no wonder that Qode recommends you use the Visual Composer page builder by WPBakery page builder to build your using their theme. As far as page builders go, it’s one of the best out there and can compete with much more well-known page builders like the Divi page builder, Elementor page builder, or Themify builder when it comes to features. The great news is that Bridge includes the premium Visual Composer plugin for free, saving you $34. It comes with a frontend and backend page builder. The backend page builder will be easier for beginners to use and is integrated into the WordPress Edit page. The frontend builder allows you to edit the page and see the changes in real-time. We can get so lost in the endless design possibilities and tantalizing list of features that it’s easy to forget about a themes performance. Luckily for you, we went ahead and reviewed Bridge’s core performance metrics, so you don’t have to. No one likes to wait, and internet users can be incredibly impatient often ‘bouncing’ from frustratingly slow websites. Page load speed also factors into your sites search engine rankings, so it’s an important metric. The page speed is still a bit slow, but that is a compromise you have to make with any theme if you want all the functionality that Bridge offers. We would give it a 6/10. Bridge comes fully optimized for SEO and it includes a section to optimize the on-page elements of your site which is handy. However, we would still recommend turning this off and leveraging a separate SEO plugin. Yoast SEO is one of the best SEO plugins available and the Bridge theme fully supports it. They also recommend using it for your SEO needs. Smartphones and tablets have overtaken computers as the most used way to access the internet. Qode has treated mobile responsiveness with the care it deserves, and Bridge translates perfectly to smaller screens. It’s also ready for use on high-density retina displays featured on most Apple devices. Mobile versions of the site come with the same page load speed as the desktop version. Bridge provides in-house support services through the Ticksy platform. Before you reach out directly to support, you can always view past tickets or forum threads to see if previous users have had the same issues and found a solution. Ticksy makes the process of submitting tickets extremely straightforward. If you choose to, you can also add on premium Envato support when buying the Bridge WordPress theme on the Envato marketplace. You can find extensive documentation to sift through on the Qode site and the lively user forum is full of helpful individuals just like yourself. If learning via videos is more your kind of thing, they have a YouTube channel with tutorials using mostly the Bridge theme. Qode sell their themes, including Bridge, on Themeforest which is one of the largest theme marketplaces in existence and forms part of the Envato Market. As such, you purchase the theme for a once-off fee, or as part of an Envato subscription that includes additional services. You can also extend your support from Qode to 12 months for an extra $10. The theme, in this case, Bridge by Qode. 10% off freelancer services listed on Envato. 2 months free if you calculate the total cost of $19 per month for a year ($228). 20% off freelance services listed on Envato. In summary, Bridge is a beautifully designed theme that includes extensive functionality and caters to a number of niches. Bridge is unrivaled when it comes to the stunning amount of demo content that will cover pretty much every application you could think of. Like with any multi-purpose WordPress theme that comes with such extensive functionality and design elements, you have to compromise slightly on the page load performance. However, the inclusion of Visual Composer makes customizing your site easy, and through leveraging something like the Yoast SEO plugin alongside bridge, you’ve got a winning formula. 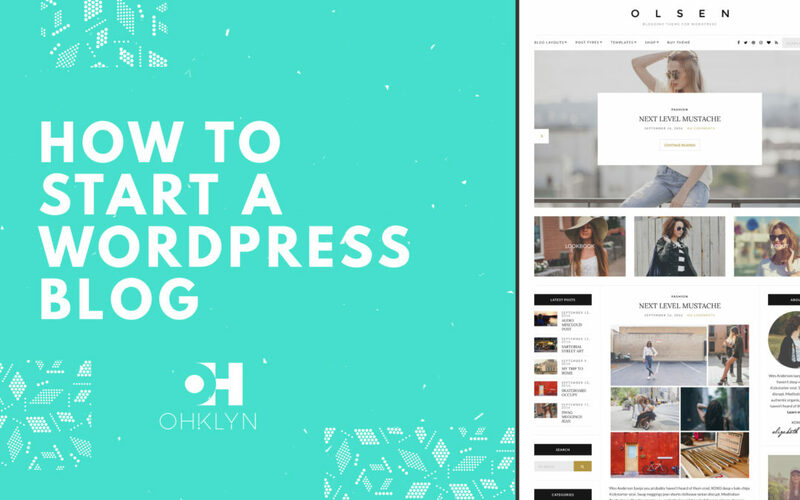 We recommend hosting your WordPress website on Bluehost who are an affiliate partner of OHKLYN. For those who are part of the community, you can access discount hosting via the link above. If you want to upgrade your hosting solution to a premium option, we would recommend using WP Engine to overcome any site speed concerns using this theme. Once again, access a discount via the link above. © 2018 All Rights Reserved | Design by OHKLYN. Review our affiliate disclosure.